The son of a slain NYPD officer joins the force, where he falls in with his father's former partner and a team of rogue cops. His new boss, Sarcone, will see if he has what it takes to be rogue through many trials and tribulations of loyalty, trust and respect. When the truth about his father's death is revealed, revenge takes over him and he won't stop until justice has been truly served. 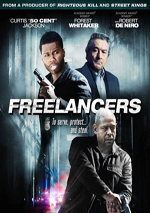 With a cast that includes two Oscar-winning actors and a successful musician, you’d think 2012’s Freelancers would’ve gotten a theatrical run. You’d be wrong, as it wound up in direct-to-video purgatory. Still, given the presence of Robert De Niro and Forest Whitaker, I decided it looked interesting enough to end up in my Blu-ray player. The son of a slain NYPD officer, Jonas “Malo” Maldonado (Curtis “50 Cent” Jackson) also becomes a cop despite multiple legal transgressions in his youth. While he and his pals celebrate their ascension to the ranks of New York’s finest, Malo meets Captain Joe Sarcone (De Niro), the leader of the Street Vice Crimes Task Force – and the former partner of Malo’s dad. Sarcone recruits Malo for his team and tells him of the unit’s methods, most of which involve corruption and money on the side. Sarcone assigns Malo to work under field training officer Lt. Dennis Lureu (Whitaker), a coked-up loose cannon. We follow Malo’s adventures as well as information about his father’s death that influences his future path. When Jackson appears in movies, he tends to be surrounded by more accomplished actors. I suspect producers do this in the hopes that he’ll elevate his game, but the opposite becomes the case. Rather than get a boost from the talent around him, the stronger actors simply demonstrate Jackson’s weaknesses. It’s been almost seven years since Jackson debuted in 2005’s Get Rich or Die Tryin’, a performance that inspired me to write “he reads every line like it comes from an Ikea manual, and he shows absolutely no personality of charisma”. I’d like to say that Jackson’s grown as an actor since 2005, but that doesn’t seem to be the case. Instead, Jackson continues to show no on-screen presence whatsoever. He smiles, mumbles and bumbles his way around the movie, without any signs of talent or skill. I guess he continues to get roles due to his name and prominence – he also acts as a co-producer here – because Jackson clearly doesn’t earn movie work based on his non-existent acting talent. Surrounding Jackson with so many prominent actors just reinforces his weaknesses, though I can’t say any of them do particularly good work. 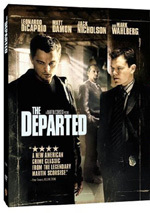 De Niro and Whitaker get stuck with trite roles and bad dialogue, neither of which they can elevate. They seem vaguely disinterested in the proceedings, and their involvement smells like “paycheck” work to me. It doesn’t help that Freelancers brings nothing new to the genre. We’ve seen umpty-ump “corrupt cop” flicks in the past, and the vast majority handled the subject matter in a more satisfying manner. 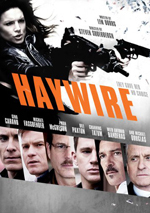 This one just regurgitates the same old action and melodrama without anything fresh or exciting involved. That leaves Freelancers as a stale, trite drama. It gets some attention due to its cast, but the movie itself fails in almost all possible ways. This ends up as a generic, forgettable cop flick. 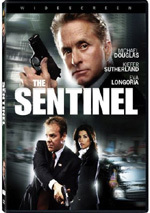 Freelancers appears in an aspect ratio of approximately 2.40:1 on this Blu-Ray Disc. This was usually a pretty strong presentation. Sharpness was virtually immaculate. Even the widest shots looked well-defined and distinctive, without jaggies or shimmering. I noticed no edge haloes, and the movie lacked print flaws. Like most modern dramas of this sort, Freelancers opted for a stylized palette. It varied from chilly blues to desaturated tans; a few warmer scenes emerged, but those were rare. Within the film’s production design, these looked fine, and blacks seemed dark and tight. Shadows occasionally seemed a little dense, but those scenes usually came across reasonably well. This was a solid “B+” image. I thought the DTS-HD MA 5.1 soundtrack worked nicely as well. The soundfield opened up best during action scenes, as those used guns and vehicles to create a lively setting. Other sequences delivered a nice sense of place and environment. Audio quality was fine. Speech seemed concise and distinctive, while music was bright and clear. Effects also appeared accurate and dynamic, with good impact across the board. Though the soundfield wasn’t quite involving enough for “A”-level consideration, this was still a strong mix. The Blu-ray comes with a decent set of extras. We launch with an audio commentary from director Jessy Terrero and actor Curtis “50 Cent” Jackson. Both sit together for this running, screen-specific look at story and editing, sets and locations, cast and performances, stunts and action, and a few other areas. Like the movie itself, this is a dull, uninteresting piece. Lots of dead air occurs, and Terrero sets a world record for utterances of the phrase “sort of”. It appears nothing happened during the shoot – things only “sort of” happened. If you listen to the track, you’ll learn a little about the shoot, but not enough to make it worthwhile – it’s not even “sort of” worthwhile. 11 Deleted Scenes run a total of 18 minutes, 35 seconds. The most prominent element comes from an “Alternate Opening” (5:41); this actually show material found in the final film, but it shows up much later in the completed product. The editing choice to place the material elsewhere makes sense, as the information has more of an impact when we’ve gotten to know the characters. As for the other 10 scenes, much of the added material focuses on Malo’s descent into drug use and depravity. We get enough of this in the final film, so these sequences provide nothing useful. Next comes a featurette called Behind the Scenes. It runs 14 minutes, 30 seconds and includes notes from Terrero, Jackson, producer Randall Emmett, writer L. Philippe Casseus, and actors Forest Whitaker, Ryan O’Nan, Anabelle Acosta, Malcolm Goodwin, and Beau Garrett. The program covers story and characters, cast and performances, and a few other topics. This essentially just gives us happy talk and doesn’t do much to dig into the details; it’s pretty forgettable. Extended Interviews with Cast and Crew occupy a total of 33 minutes, 20 seconds. We hear from Terrero, Jackson, Whitaker, Goodwin, O’Nan, Garrett, Acosta, Emmett and Casseus. These are the same sessions used in the featurette, and they focus on similar subjects. They’re a little more expansive but still not especially interesting; they remain fairly bland EPK noodlings that tell us everything/everyone’s great and not much else. The disc opens with ads for The Hunger Games, Haywire, Man on a Ledge and Reservoir Dogs. These show up under Also from Lionsgate and we get the trailer for Freelancers, too. If you want a fresh, lively cop drama, avoid Freelancers. It sticks with the usual clichés and lacks even basic substance to maintain the viewer. The Blu-ray delivers very good picture and audio along with some mediocre supplements. Don’t let the well-known actors in the cast attract you; Freelancers is a weak film that should stay on the shelf.